Friday, January 16, 1914: Ruth and I went up to Oakes’ this evening. The occasion being a birthday surprise party for Al. Had a very, very fine time. He was there. That’s why I had such a good time. 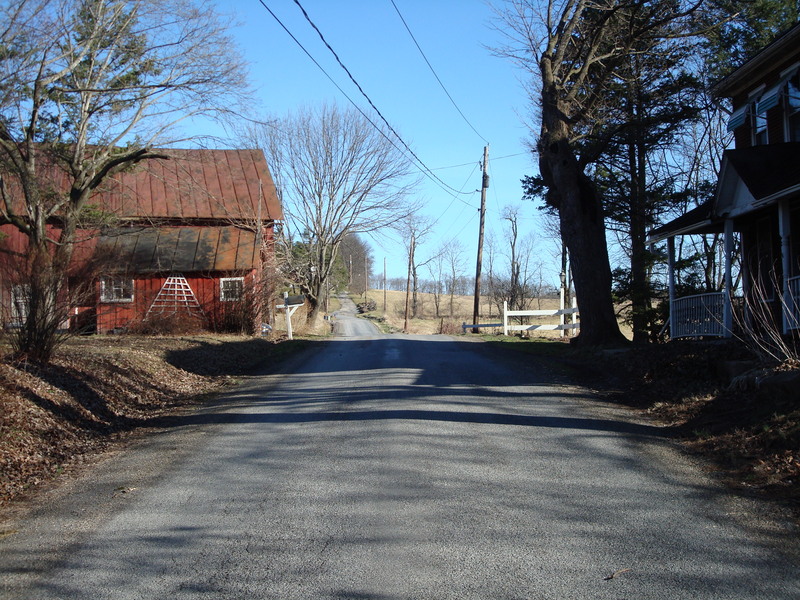 A hundred years ago today, Grandma and Ruth would have walked down this road, past this farm, to get to the Oakes farm. What fun! It’s wonderful to hear that you had a “very, very fine time.” It sounds like your life is getting more exciting. Just one question—Who the heck was “he”? The Oakes lived on a farm near the Mufflys, and had several children about the same age as Grandma and her sister Ruth–—Al, Jim, and Rachel.
. . . Ruthie and I went up to Oakes’ this evening. 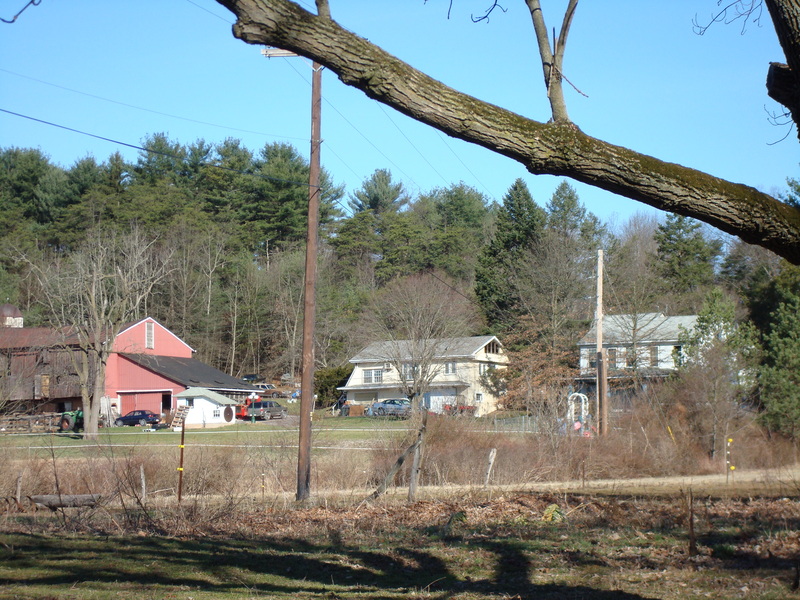 Recent view of the farm where the Oakes lived. Posted on January 16, 2014 January 16, 2014 by SherylPosted in OtherTagged family history, genealogy. Next Next post: Got Home at 2 a.m.
Oh, when she wrote “he was there”, I thought she was referring to Al. Perhaps “he” is a secret crush that Grandma has! I love this hint of romance. I am still a sucker for even a bit of romantic intrigue. Another mystery in Grandma’s diary! Is it “he”!!!!?! or just he (Al)? And who is Al? That could be anybody – Albert, Aldo, Alfonso, Alex, Alfred, Alvin, . . .?? It’s almost like she knew we’d be looking at this 100 years later and is being coy – very cute! I wonder who “he” is. Of course Al would be there, it was his party. This really perked her up.